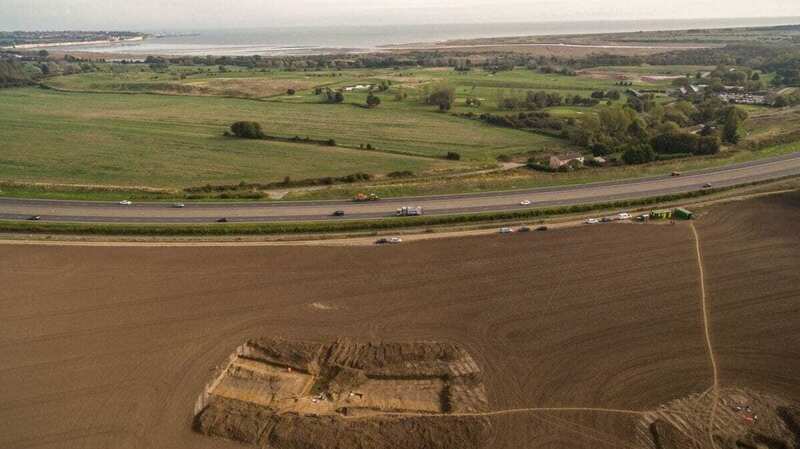 The site, at Ebbsfleet, on the Isle of Thanet in north-east Kent overlooking Pegwell Bay, is now 900 m inland but at the time of Caesar’s invasions it was closer to the coast. 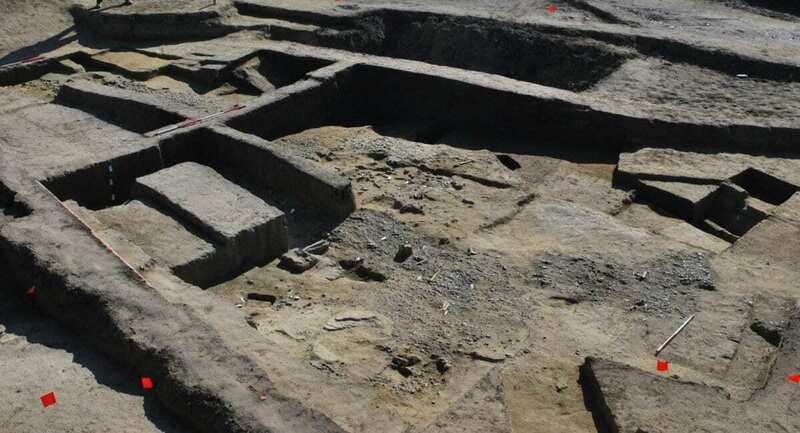 The ditch is 4-5 metres wide and 2 metres deep and is dated by pottery and radiocarbon dates to the 1stcentury BC. The size, shape, date of the defences at Ebbsfleet and the presence of iron weapons including a Roman pilum (javelin) all suggest that the site at Ebbsfleet was once a Roman base of 1stcentury BC date. 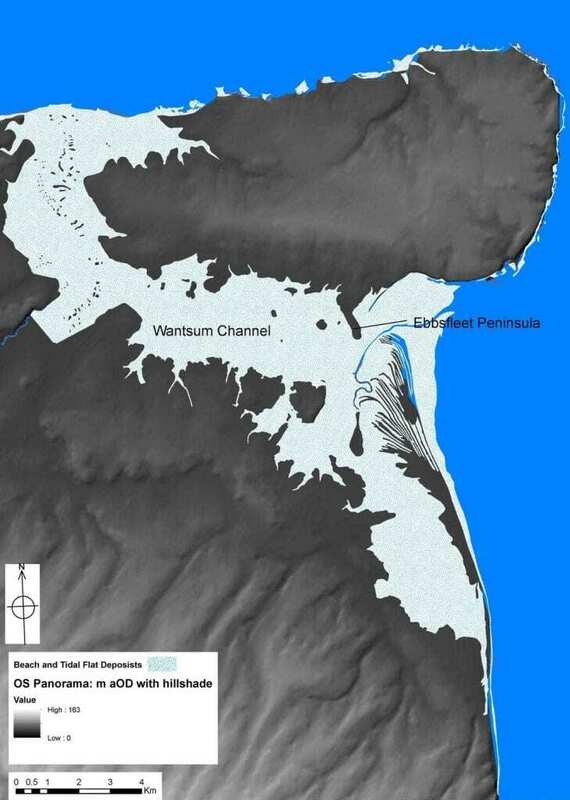 “The site at Ebbsfleet lies on a peninsular that projects from the south-eastern tip of the Isle of Thanet. Thanet has never been considered as a possible landing site before because it was separated from the mainland until the Middle Ages. “Sailing from somewhere between Boulogne and Calais, Caesar says that at sunrise they saw Britain far away on the left hand side. As they set sail opposite the cliffs of Dover, Caesar can only be describing the white chalk cliffs around Ramsgate which were being illuminated by the rising sun. “It seems likely that the treaties set up by Caesar formed the basis for alliances between Rome and British royal families. This eventually resulted in the leading rulers of south-east England becoming client kings of Rome. Almost 100 years after Caesar, in AD 43 the emperor Claudius invaded Britain. The conquest of south-east England seems to have been rapid, probably because the kings in this region were already allied to Rome.